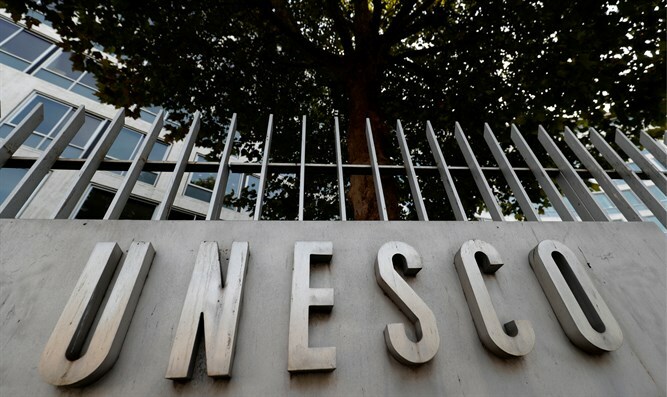 MainAll NewsInside IsraelCould Israel still withdraw from UNESCO in 2018? Despite missing deadline to withdraw from UN’s cultural agency in 2018, Israel might still be able to do so. Despite missing the deadline to withdraw from UNESCO, the UN’s cultural agency, in 2018, Israel might still be able to do so. The offices of the UN agency in Paris are closed until after the New Year holiday, meaning Israel has been unable to file the necessary papers on time. On Thursday, Israel’s Ambassador to UNESCO, Carmel Shama Hacohen, arrived with a delegation from the Israeli embassy to UNESCO headquarters and asked the security personnel to submit Israel’s withdrawal letter. The security guards initially explained to Shama Hacohen that, despite their desire to help, they are not permitted to sign for incoming mail or receive documents. However, after further discussions it was agreed that the head security officer would sign that the Israeli ambassador and his team had tried to deliver the letter but he could not accept it. The Director General of UNESCO, Audrey Azoulay, was informed of the goings on and the letter was sent with the signature of the head security officer to her email address. She subsequently announced that she accepted receipt of the email as an official announcement of a departure from UNESCO made during 2017. Shama Hacohen said that "Israel made every effort to complete the process of leaving UNSECO as soon as possible, alongside the U.S., and to prevent an undesirable presence for another year inside this miserable organization that was kidnapped by Arab and Islamic countries." He pointed out the assistance by Azoulay, the agency’s first Jewish head, and said, "We thank her for this and hope that she will work for the noble goals of the organization and that she will succeed in purging the organization of the political pollution that has turned every good part of it into a tainted one." Prime Minister Binyamin Netanyahu instructed Shama Hacohen last Friday to officially submit a letter of withdrawal from UNESCO. Israel’s move comes several months after the U.S. State Department declared that the U.S. would be leaving UNESCO by 2019 due to its anti-Israel bias. Earlier this year, UNESCO declared the ancient city of Hevron, King David’s first capital and home to the tomb of the biblical patriarchs, an endangered Palestinian heritage site.